Handcrafted in the mountains of Switzerland, these Genuine Swiss Bells ring loud and pure and can be heard over long distances. 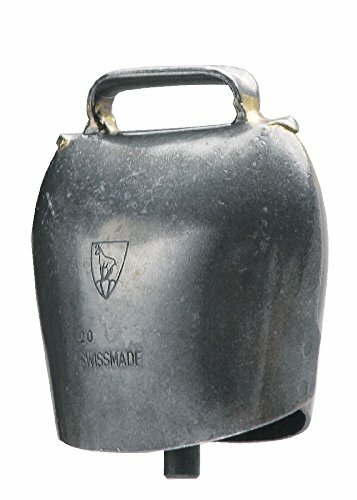 These versatile bells come with a loop for hanging off of livestock or for holding in your hand. These durable bells can be used for a wide variety of purposes, from the ranch to festivities. If you have any questions about this product by Colorado Saddlery, contact us by completing and submitting the form below. If you are looking for a specif part number, please include it with your message.